Ram Naik is an Indian Political leader who belongs to Bhartiya Janata Party. Ram Naik was born on 16 April 1934 in Atpadi at Bombay Presidency, British India. His wife name is Kunda Naik and had Two daughters. Ram Naik worked as minister of Petroleum and Natural Gas from 1999 to 2004. Currently, He became 20th Governor of UP. 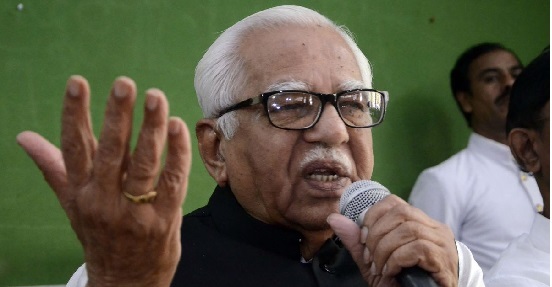 When Ram Naik was appointed as Governor he stated that Ram Temple should be built as soon as possible because of this he gets the backup by Hindustan groups. Ram Naik started his career by organizing Secretary, Bhartiya Jan Sangh, Mumbai later he became General Secretary. In 1978-1999 he became a member of Legislative Assembly, Letter he becomes Precedent of Janta Party, Mumbai. Several years he got many posts then at present he is working as Governor of UP. Ram Naik is placed his name in the political field and his position at a higher position. Ram Naik played important role in the field of politics.